Kanazawa is a town that breathes history. The beautiful nature and culture of the former castle town of Kanazawa Castle has been preserved to this day. 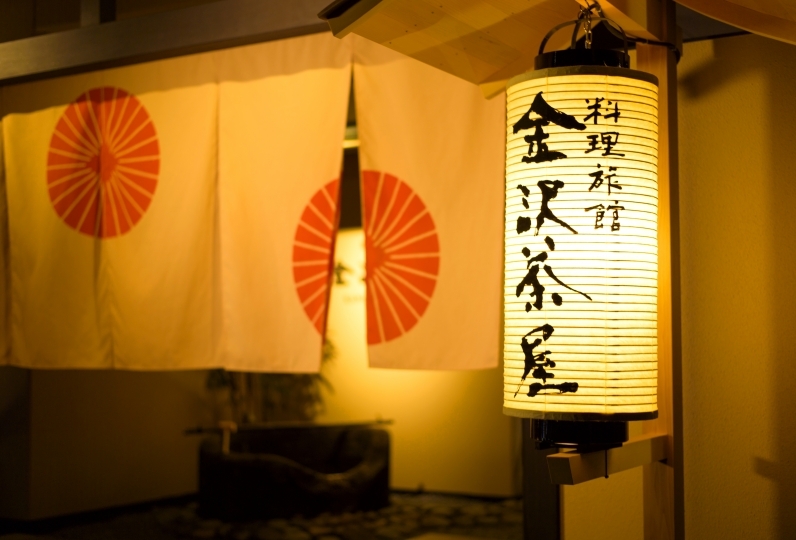 Hotel Sanraku is located near to Kanazawa Castle and we welcome our guests with warm hospitality. 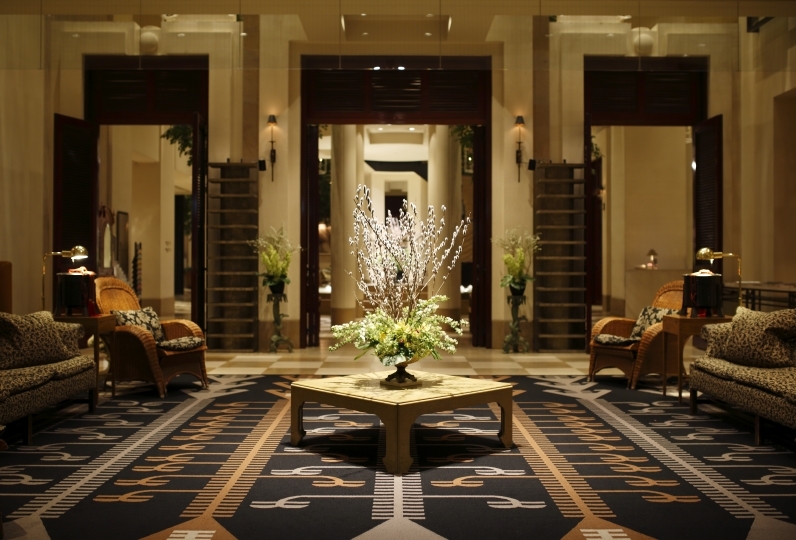 Upon stepping into the lobby, you will feel as if you have been transported back in time into the Taisho era. With the light from the stained glass, set according to an illustration of the castle town, the various traditional furnishings, the hotel interior feels like an art gallery. 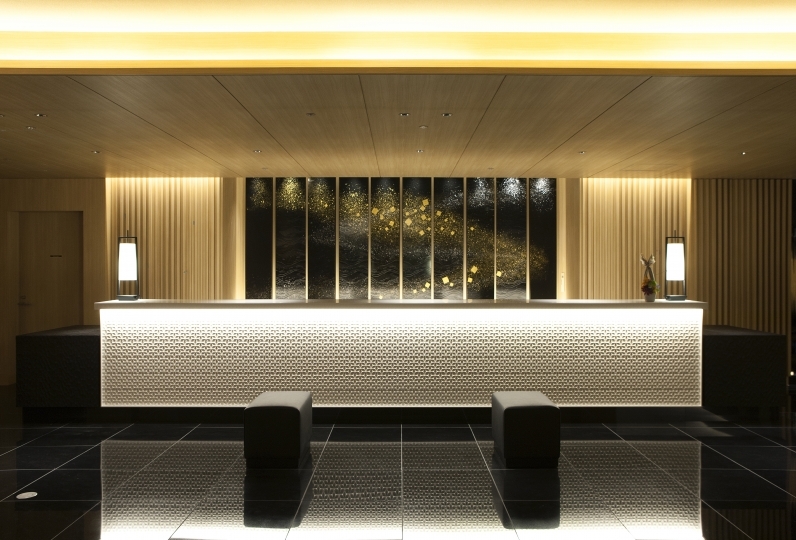 After taking a rest in one of our elegant and classic guest rooms, relax and unwind in our natural onsen, a rare facility in hotels within the city of Kanazawa. 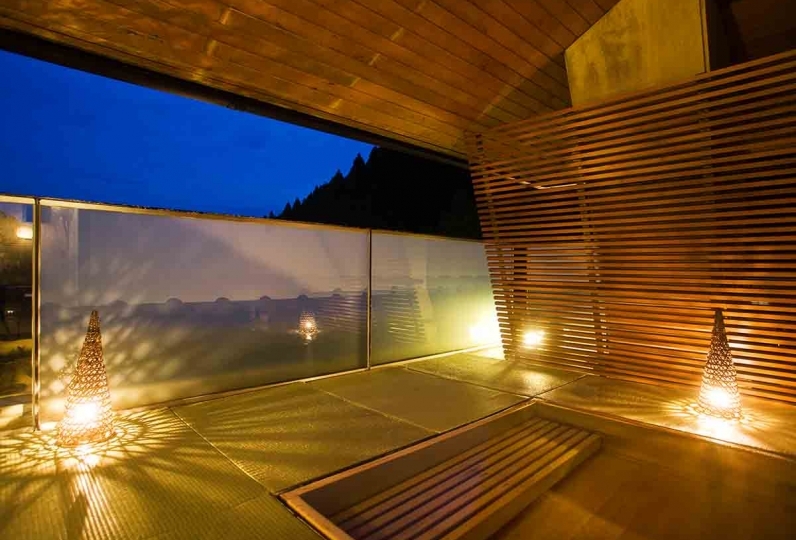 Soak in the waters of the Hakuchoro Hot Spring, known for its beautifying properties, and soothe your mind and body. As for dining options, we are dedicated to selecting the best ingredients and we serve many seasonal delicacies centered on the seafood from the Sea of Japan and Kaga vegetables made with the freshest ingredients. Have a taste of the luxurious creations by our head chef who trained in an established local restaurant. Our hotel concierge staff will be glad to assist you with any sightseeing queries. You will definitely enjoy your stay here with the pleasant ambiance and quality service. 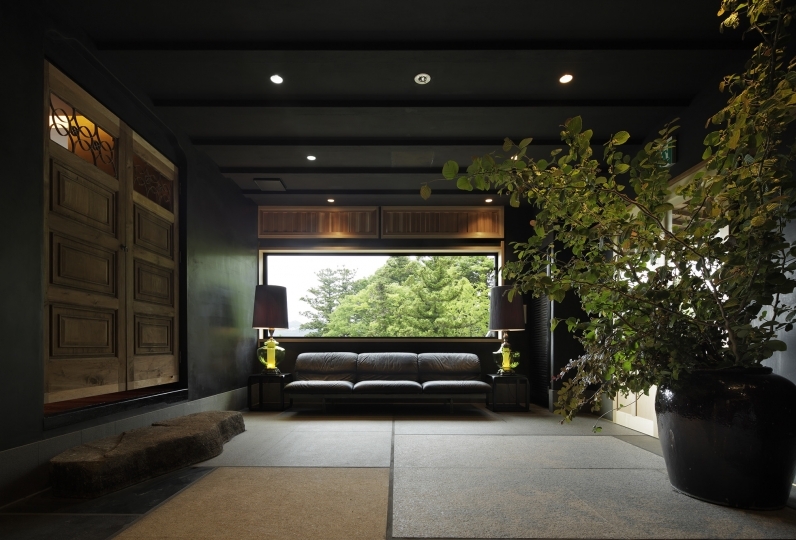 Experience a wonderful time here at Hotel Sanraku during your stay in Kanazawa. I stayed in a Japanese-style room but I could relax in a larger room than I thought. Breakfast was also delicious because I was eaten a lot of local dishes and I am satisfied very much. I wanted to stay overnight and conquer all the menus. The dressing room of the bath was very clean, there were drinks and ice etc. after bathing and the bathroom was also very good with trial shampoo etc. However, it is a mold on the ceiling of the bathroom or there is a black dirt, so it was regrettable that the water droplet dripping down due to dew condensation from there, so I think that you can improve it. I interfereed in order to see Kenrokuen in winter. I wanted to see the snow hanging that made the snow make-up blank white, but the condition of snow in the morning was one more because of the warm winter. I would like to ask again on another occasion. Room: We upgraded from the normal room by +2000 yen (person). It was impressing that there were plenty of free drinks in the room and the service, too. Because I like coffee, I was glad that the cassette type coffee maker is doing now. (The ease of use such as adjusting the amount of water was one more thing.) The bed is comfortable with the air weave pulled, but for me it is a little hard. Also, because the specifications to put the luggage down, the bed height is high. (I was mourning that my wife would not reach my feet.) Dinner: Some people suggested a variety of Japanese sake and it was very delicious. I ordered a one-point crab course, but it is really regrettable that Miso was taken from boiled crab. Hot Springs: The bath is lukewarm. I thought it was normal. Breakfast: I have eaten too much "Biking" which has a lot of happiness of Ishikawa and Kanazawa. Location: It is perfect for Kanazawa sightseeing as soon as Kenrokuen is soon and from the bus stop. I think that it was inconvenient for drinking because it is a bit far from downtown, it was quiet and nice environment. Thank you very much. I still want to use it. Everyone of the hotel staff was very kind with a smile. Coffee cup and glass of the room were also fashionable, and coffee was delicious, too. 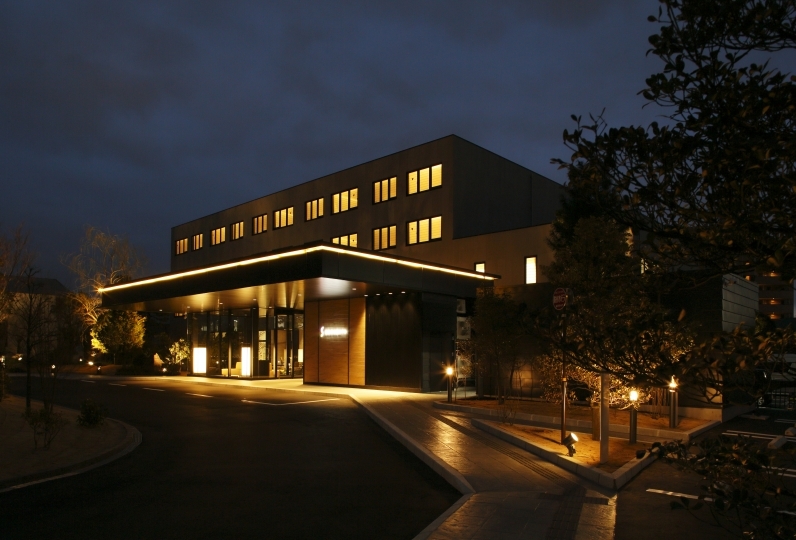 Classical furniture, Kanazawa like atmosphere Hotel with hot springs is convenient near Kenrokuen. As breakfast bakes Nodogro on its own ... so freshly baked and refreshing delicious, the number of goods was also the best. If there is opportunity, we will certainly use it. The name "Mahoroba", which means "wonderful comfortable place" is befitting of the calming atmosphere of this restaurant. The beautiful view of the Japanese garden from the windows reflects the changing of the seasons. 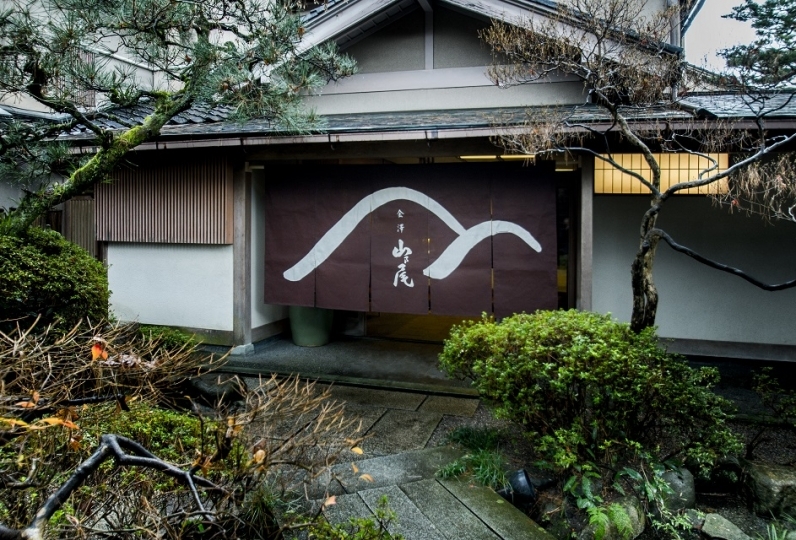 The food served in this comfortable restaurant is made with specially selected seasonal ingredients made with traditional recipes of Kanazawa. The freshest seafood of every season, delivered from Omicho Market, as well as Jibu-ni, the traditional cuisine of Kanazawa and many other delicious cuisines are created with care by our Japanese cuisine head chef. The hydrogen carbonate hot spring water drawn from 807m underground is gentle on the skin and has many health benefits and visitors are always refreshed and satisfied after soaking in the water. Enjoy a wonderful time relaxing and warming your body and soul in our hotel's natural hot spring. *We will separately charge a bathing tax of 150 yen per person per night. Guest tax (less than 20000 yen: 200 yen, 20000 yen or more: 500 yen) will be charged separately.